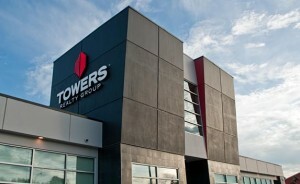 Towers Realty Group is a commercial, multi-family and condominium property management and development firm with a focus on Manitoba and Saskatchewan. Towers Realty Group manages the day-to-day operations of a wide variety of commercial, multi-family and condominium properties. Our professional team offers the best in services and solutions, from consulting and planning to development and management. We have grown our portfolio through hard work, innovation, and most important, through a consistent record of ethical and professional relationships with all of our stakeholders. We treat our investors, tenants, employees and suppliers with the utmost care and respect. As a result of our hard work, dedicated staff, and exceptional service to both property owners and tenants, we have had the opportunity to manage hundreds of apartments for rent in Winnipeg, Regina, and other major cities in both Manitoba and Saskatchewan. CFAA (National) Renovation of the Year Award in recognition of an outstanding building renovation for Royal Oak Court, Winnipeg. PPMA Renovation of the Year Award in recognition of an outstanding building renovation for Royal Oak Court, Winnipeg. PPMA Advertising Award in recognition of a truly innovative addition to our online advertising program, 3 Dimensional Photography. 3 Dimensional photography has been completed for The Ridge, Royal Oak Court, 555 River and Owen Apartments. PPMA Advertising Award in recognition of an outstanding, well communicated and successful advertising campaign for The Ridge Apartments. PPMA Renovation of the Year Award in recognition of an outstanding building renovation for Lanark Gardens, Winnipeg. PPMA Innovation Award in recognition of a truly innovative creation, our online application system with online payment gateway. PPMA Renovation of the Year Award in recognition of an outstanding building renovation for 21 Mayfair Place, Winnipeg. Better Business Bureau Environmentally Friendly Torch Award in recognition of energy saving measures installed in all of Towers Realty Group’s renovated buildings city wide. These energy saving measures have resulted in approximate annual savings of over 500,000 kilowatt hours of electricity and 500,000 cubic feet of natural gas annually. PPMA Advertising Award in recognition of an outstanding, well communicated and successful advertising campaign for The Ritz Apartments. PPMA Innovation Award in recognition of Towers Realty Group’s corporate portfolio improvements. PPMA Advertising Award in recognition of Towers Realty Group’s outstanding corporate branding.